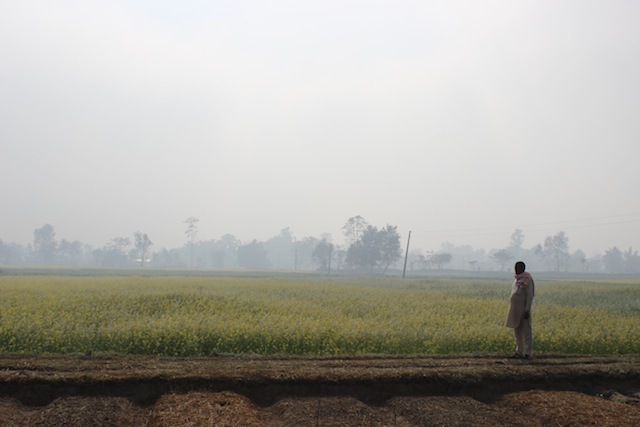 BARDIYA, Nepal, Feb 26 2015 (IPS) - Every morning, Raj Kumari Chaudhari walks from her home to the other end of Padnaha village, located in the Bardiya district of mid-west Nepal, to a big mango tree to offer prayers. On the night of Aug. 14, 2014, Chaudhari lost her home when a big flood washed her entire village away. Her husband grabbed their eldest daughter, while she carried her twins on her shoulders, and ran. When they reached the other side of the village, they realized there was no escape. They climbed the nearest tree and took shelter. In a matter of minutes 11 other people from her village had climbed the tree. “My six-month old baby was the youngest amongst us, I tied him with my shawl so he wouldn’t fall,” says Kalpana Gurung, 27. Bardiya, one of three districts in mid-west Nepal, was the hardest hit by last year’s flood; the District Disaster Relief Committee of Bardiya says more than 93,000 people were affected. The gushing waters killed 32 and 13 still remain missing. Almost 5,000 people were affected in Padnaha village where the Chaudhari family lived. The year 2014 was considered the deadliest on record in Nepal in terms of natural disasters. According to the Ministry of Home Affairs 492 people were killed and over 37,000 households affected by disasters between April 2014 and February 2015. Still, experts say, the government hasn’t formulated a long-term response for those like the Chaudhari family who survived these catastrophic events. “The government has no direction, no plans for rehabilitating survivors – those who lost [their] lands essentially became stateless,” says Madhukar Upadhya, a watershed and landslide management expert. After the 2008 flooding of the Koshi River in east Nepal the government established a disaster-training centre, the police force now has a disaster division and Nepal’s army has a disaster directorate. But the government’s focus is on rescue and relief, and not rehabilitation and resettlement, experts say. 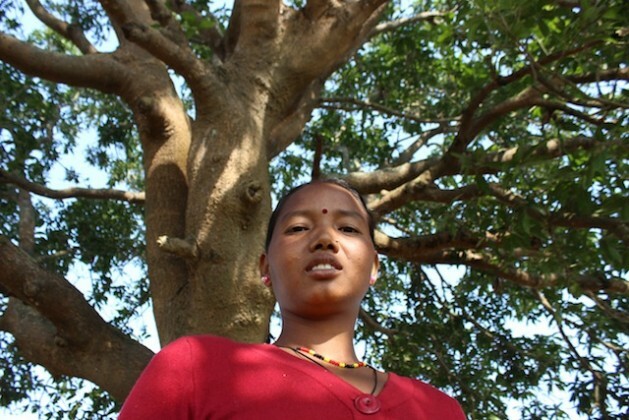 Chaudhari’s family and the majority of her neighbours are from the Tharu community, indigenous to western Nepal. They are former ‘kamaiya’, meaning people affected by the oppressive system of bonded labour that was abolished by law only in 2002. After being liberated, her family were evicted from their homes by their former masters and lived out in the open for years. Two years ago, the government finally resettled them in Padnaha. “It took us a long time to build our homes, the kids were finally feeling settled, and then the floods washed away everything,” Chaudhari tells IPS. After spending 24 hours on the tree branches, water swirling below, Chaudhari and her family were finally able to come down and rush to a school nearby. When the water level receded, they saw that everything had been washed away. 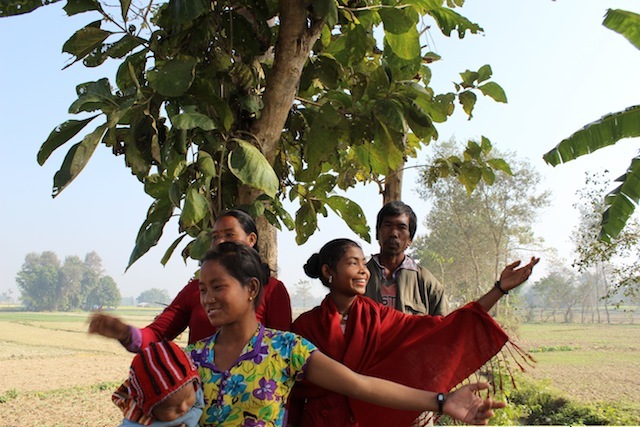 “We may have lost our homes and belongings, but unlike other survivors of floods and landslides, we still had our lands to come back to,” says 18-year old Sangita, another tree survivor. With assistance in the form of raw materials from Save the Children, and Nepal’s 13-day Cash for Work programme that provided them 3.5 dollars a day for their labour, the community started to rebuild. In a matter of a few days 12 households cleared away the debris and erected their huts. Today, Chaudhari has planted some vegetables in the garden, an additional source of nutrition for her family. She is worried that what happened last year may happen again and she realizes now that she has to be prepared. Climate experts say that the little model community is not sustainable – changes in weather patterns mean that every monsoon is likely to bring floods and even landslides to vulnerable regions of Nepal. A study released last year by the Climate and Development Knowledge Network (CDKN) found that climate variability and extreme weather events costs the government of Nepal the equivalent of between 1.5 and two percent of its gross domestic product (GDP) each year. Twelve massive floods over the last four decades have cost every single affected household, on average, the equivalent of 9,000 dollars. 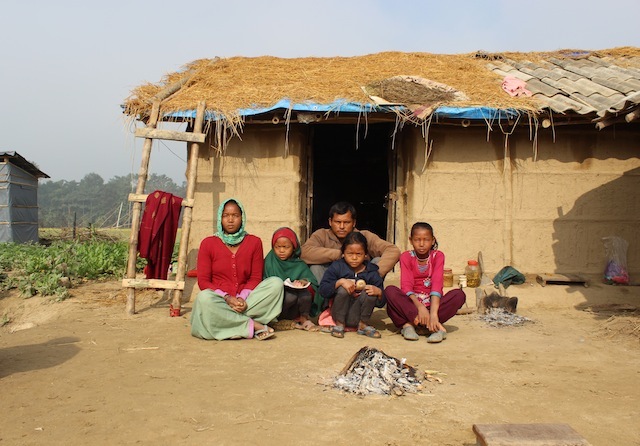 Considering that the country’s average income per family was about 2,700 dollars in 2011, this represents a major burden, borne primarily by the poor – like the Chaudhari family – who live in disaster-prone areas. Every year since 1983, floods in Nepal have caused an average of 283 deaths, destroyed over 8,000 houses and left close to 30,000 affected families to deal with the fallout of the disaster.